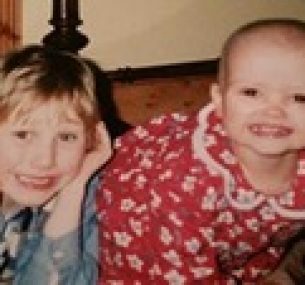 The day before Fathers’ Day, June 1995, was the day my beautiful 14-month-old daughter was diagnosed with acute lymphoblastic leukaemia (ALL). Maisie was our second child. Our son Jack was four years old when Maisie was born. Despite being born eight weeks early, Maisie thrived and was a happy and placid baby. Maisie had become quite grizzly during the day and cried during the night. Nothing seemed to settle her. She wasn’t interested in eating or playing, and cuddling her didn’t ease her distress. As parents we became exhausted, and despite five trips to the family doctor her ‘virus’ didn’t show any signs of clearing. We knew something was very wrong and took Maisie to our local A&E department and insisted on a blood test. We would not leave until this had been done. Maisie was crying and the lovely healthcare assistant listened to our concerns. We found out later that she had survived leukaemia as a child and recognised the signs and symptoms we were describing. She spoke to a paediatrician and a blood sample was taken. The next hour brought the news that Maisie had acute lymphoblastic leukaemia, with a high white cell count. I felt anger and guilt about my visits to the doctor and being turned away with the assurance that the ‘viral infection’ to Maisie’s ears would clear up. Now none of this mattered. There wasn’t time or energy. An ambulance was on its way to the hospital to collect us and I had an hour to go home and make arrangements for Jack and prepare for our first admission. That night my husband and I slept in a room with Maisie and I will never forget the silent tears I shed in the darkness as the reality and seriousness of our daughter’s illness set in. How could this have happened to us? Our baby had been born healthy, and thrived for her first year. All we could do was wait for more results and information which would follow the next day: Fathers’ Day. The medical team were fantastic and supported us as we learnt about the disease and the three-year treatment protocol. Maisie’s named nurse was amazing. She explained everything as many times as we needed and completely understood that we were in shock. Maisie was entered into a trial and selected for a third block of treatment. The sequence of treatment and procedures were set out on a timetable. This was a really helpful and we took on information on a need-to-know basis. It was particularly hard being away from Jack, but family and friends were fantastic and Jack was in good hands. Jack understood that his sister needed to be in hospital and staff and play therapists supported the whole family. We had family picnics in Maisie’s room and I have strong memories of happy times. Waiting for blood results and procedures requiring anaesthetics became part of normal life and we developed our own strategies for these waiting times. My husband would wait on site, where as I would go for a brisk walk around the block. It was at this time when I first had contact with Children with Cancer UK. Their office is opposite the hospital and I would pop in and make tea or stuff envelopes with tickets for fundraising events. This was because of complications, mostly infections. Treatment was suspended as Maisie fought several severe infections which put her survival in danger. She also suffered nerve damage from a reaction to drugs which meant she may not be able to walk or talk. Life became a round of hospital admissions, blood results, treatment and physiotherapy. Maisie lost her hair. This was a side effect of the treatment. I know hair grows back, but for me, this was really traumatic and upset me greatly. The mouth sores, sickness and upset stomachs were almost constant. Maisie was hospitalised for chicken pox four times and developed warts on her face and body. They lasted almost two years, until she was well enough to have them removed by freezing. It’s a painful process, especially to delicate facial skin, and Maisie insisted that they were all treated in one go. She was so brave. Some of them required painful laser surgery. People used to ask me how I managed. I had the privilege of being Maisie’s mother. It was Maisie who coped with a serious and aggressive illness, and it was Maisie who tolerated the aggressive treatment and side effects. The question is – how did Maisie manage? I don’t know the answer but it is during the early stages of her treatment that she developed a love of tea! Tea with milk and sugar was often the only thing she could manage when she was poorly and she is a massive tea drinker to this day (no sugar now)! Maisie was not able to attend playgroup because the nerve damage meant she was not able to walk. I became her support for physical movement at nursery school. The hospital assessed Maisie’s cognitive development and we made a decision to move Maisie to a school with small classes when she was six – and she repeated a year. This was a difficult decision to make but a year well spent. Four years after diagnosis Maisie was monitored regularly. Waiting for blood results was always a testing time for us as parents, but Maisie took everything in her stride. I felt guilty and hard when I would not allow Maisie to make a fuss over a needle. I would ignore her refusal, through exhaustion, to complete physiotherapy to strengthen her legs and feet. It hurt a lot – but I did it for you Maisie! 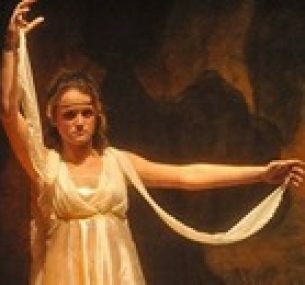 Now it is a pleasure to watch her dance, run and swim and enjoy and share her academic achievements over lengthy, chatty telephone calls home. Two years after treatment Maisie needed reconstructive surgery to her chest, as an infection following a burn from chemotherapy had ‘eaten’ tissue away. This was such a hard decision because it required a general anaesthetic and carried a risk. Everything went well and the team at the hospital did a fantastic job. When Maisie was four years old our third child, India, was born. Cord blood from the placenta was collected and stored at the London Blood Bank for 10 years in case Maisie would ever require a bone marrow transplant. I found this stressful – I wanted a healthy baby and a cord blood match for Maisie. We got both. Having India was such a joy for our family and Maisie and Jack love their sister! We all do! Over the years our named nurse still provided support. I speak with her yearly. It is now 20 years later and she’s living in Australia and we still have our yearly catch-up on family news. 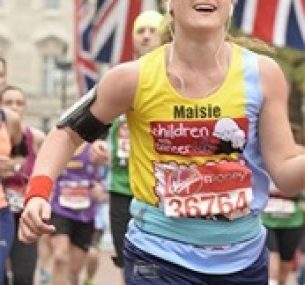 In April 2015 my husband, Maisie and I all completed the London Marathon, running for Children with Cancer UK. It was a wonderful event and a privilege to raise money for the very charity that supported our family twenty years ago. This has been a very difficult piece to write. It is not only Maisie’s story, but also that of all the amazing health care professionals, dedicated charity workers, research scientists and the children and families we met and shared many moments with. Maisie, you are truly amazing. I am so, so proud to be your mum! Jack is now 26 and qualified as a doctor two years ago. In his application he made a connection between his choice to train as a doctor and witnessing his sister receiving treatment for leukaemia. Maisie has also decided to apply to study medicine as a post-graduate. I am only sorry that, Maisie, you had to go through this treatment. I would have willingly taken your place. I did the only thing a mum could do and stay alongside then, now and always. My earliest childhood memory has to be watching Rosie and Jim on TV with the nurses. And also my hospital Barbie-decorated room. Over the years I have learnt a lot about my diagnosis and treatment from my family and the frequent check-ups. My diagnosis has never held me back. I am determined to excel in everything I do. 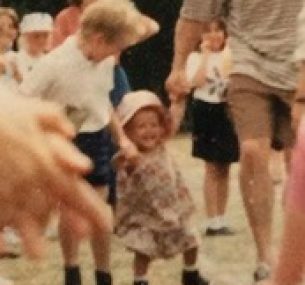 My parents were warned that side effects of the chemotherapy may have meant that I would have been unable to walk and talk – this has not been the case and I have been extremely active by dancing, singing, acting and participating in sports since an early age. I absolutely love swimming and have become a very keen runner. I ran my first half-marathon in October 2014 and was so overwhelmed with the sense of achievement and inspired by all those that ran for a charity. 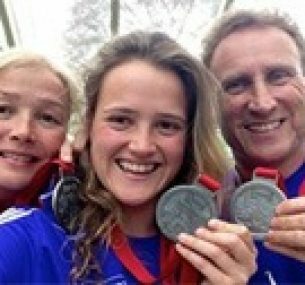 I ran the London Marathon 2015 for Children with Cancer UK with my parents. We all completed and raised £4,570. Children with Cancer UK provided incredible and vital support for my family when I was being treated. The London Marathon has made me want more. I have recently run the Bristol half-marathon and Exeter’s Great West run in preparation for the Paris marathon that I have signed up to tackle in April 2016. I am currently at the University of Exeter in my final year studying Biological and Medicinal Chemistry and have just applied to study post-graduate medicine. I am so grateful for everyone who looked after me during my early years and I want to pursue a career in Medicine so that I can help look after others. A massive thank you to everyone who helped and supported me during this chapter of my life and to my parents, you guys are amazing and I love you so much.